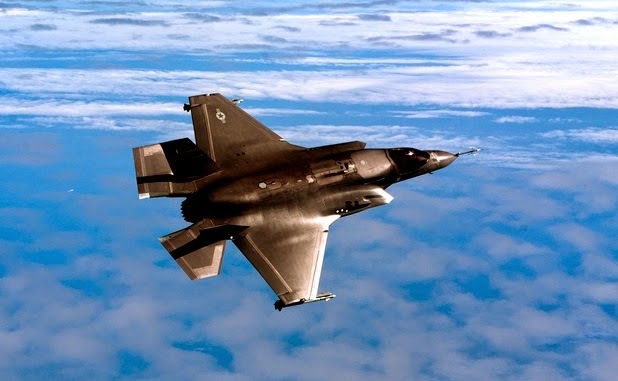 The Lockheed Martin [NYSE: LMT] F-35 Joint Strike Fighter (JSF) program continued a steady path of flight test milestones in August, including weapons separation, software compatibility and flight hours, all demonstrating program maturity. "The test milestones are a direct result of the detailed planning, coordination and execution between various government teams and the integrated test force," said J.D. McFarlan, Lockheed Martin's Vice President for F-35 Test & Verification. "Every testing milestone demonstrates the development of the F-35 in successive steps toward enabling the U.S. Marine Corps to attain its F-35B Initial Operational Capacity (IOC) next year." F-35A aircraft AF-1 accomplished its 400th flight during a successful GBU-31 Joint Direct Attack Munition (JDAM) aircraft separation test on Aug. 13 at Edwards Air Force Base, California. This was the first GBU-31 Mark-84 (2,000-pound guided munition) separation demonstration from the F-35. Previous GBU-31 separations were with the BLU-109 (Bomb Live Unit) bomb body. F-35B aircraft BF-1 and BF-4 completed "Mode 4" formation testing on Aug 9th, as required for Block 2B software capability. "In Mode 4 operations, the STOVL Propulsion System is engaged, the lift fan, roll post nozzle, and three-bearing-swivel nozzle are operating, and all propulsion system doors and inlets are open. Flight testing validated the F-35B Short Take Off and Vertical Landing (STOVL) variant's ability to operate well in this configuration during formation flight which supports operations around the ship; a key milestone for the F-35B path to IOC," McFarlan said. 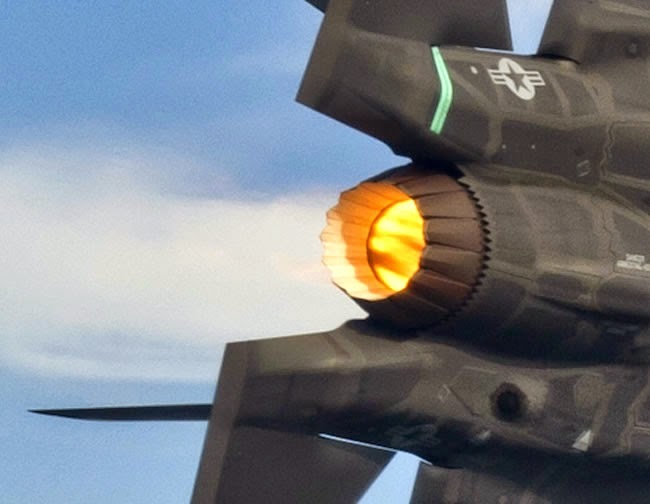 F-35B aircraft BF-3 completed the 2B software fleet release weapon separation requirements for the F-35B with two successful AIM-120 Advanced Medium Range Air-to-Air Missile (AMRAAM) Air Vehicle Instrumented (AAVI) separation flights on consecutive days, Aug. 14 and 15. The AIM-120 radar-guided missiles were launched over the Atlantic Test Range. "2B software fleet release is critical to the warfighter because it delivers the first combat capability to our most dominant 5th generation platform. Weapons employment is one the most critical combat capabilities. This culminates years of dedicated work that proves safe separation in 2B configurations and provides this capability and confidence to our customers," McFarlan said. Along with the testing milestones, to date, the overall System Development and Demonstration (SDD) F-35A test fleet surpassed its 4,000th flight hour on Aug. 14 and in total, the F-35 Fleet has surpassed 19,500 flight hours, with more than 8,000 hours in SDD aircraft. F-35A aircraft AF-1 achieved its 400th flight milestone on Aug. 13; F-35A aircraft AF-4 surpassed 500 flight hours, Aug. 11 and F-35C aircraft CF-2 achieved 300 flights on Aug. 14. The F-35 Lightning II, a 5th generation fighter, combines advanced low observable stealth technology with fighter speed and agility, fully fused sensor information, network-enabled operations and advanced sustainment. Three distinct variants of the F-35 will replace the A/OA-10 Thunderbolt II and F-16 Fighting Falcon for the U.S. Air Force, the F/A-18 Hornet for the U.S. Navy, the F/A-18 and AV-8B Harrier for the U.S. Marine Corps, and a variety of fighters for at least 10 other countries. Following the U.S. Marine Corps' planned 2015 IOC, the U.S. Air Force and Navy intend to attain IOC in 2016 and 2018, respectively.